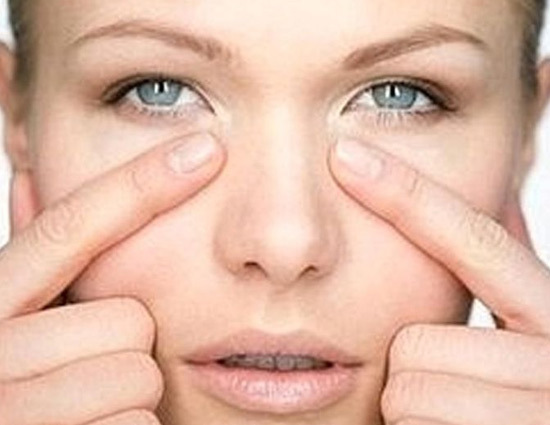 Even with good skin and great make-up, a woman can look tired and fatigued due to dark circles. Thought to be caused due to stress, lack of sleep and in some cases due to constant ill health, dark circles are also known to form due to lack of oxygen and blood flow to the face. That is why Ayurveda and yoga practitioners believe that by increasing the blood flow to one’s face it can help resolve the problem. So instead of trying various chemical and cosmetic methods to get rid of them, here is an all natural way to zap those dark circles away. Stand straight with your legs shoulder width apart. Now, stretch both your hands forward and upwards, making sure you feel a stretch up your spine. Now start bending slowly until your palms are touching the floor and your head touches your knees. For most people touching their hands to the floor might be difficult, so don’t fret, keep trying till you start feeling comfortable. Once in this position, breathe normally and hold the asana for as long as you are comfortable. Lie down flat on the floor, near a wall. Now, raise your legs such that they are rested comfortably along the wall and the base of your back is touching the wall. Stretch your arms out on either side of your body and relax. You may choose to raise your chin towards the ceiling, but do not stress your neck while doing this pose. Close your eyes and breathe in deep allowing yourself to relax. Hold this pose for as long as you are comfortable. Sit comfortably in a calm corner of your house and place your palms on your thighs. Make sure your palms are facing upwards so that there is an equal distribution of energy. Now turn both your eyeballs so that you are literally trying to look at the centre of your eyebrows. Breathe normally and hold this pose for five to six counts. To intensify the mudra you can choose to hum ‘Om’. This is not religious in any way but is based on scientific evidence that the word ‘Om’, when chanted produces a type of vibration throughout the body, that is very beneficial to massage the nervous system and activate the chakras. 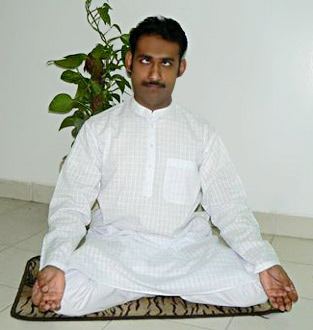 To stop doing the mudra, close your eyes and slowly bring your eyes back to their normal position. Keep your eyes closed for a short while and then slowly open them. 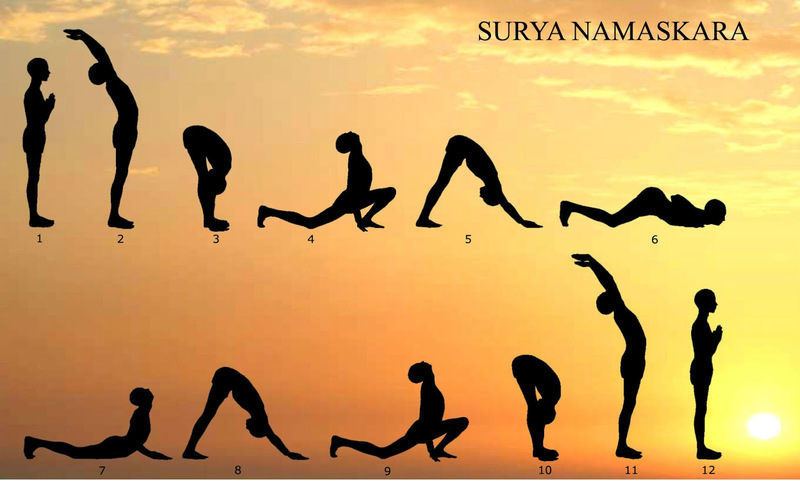 Surya Namaskar has a deep effect in detoxifying the organs through copious oxygenation and has a deeper relaxing effect. It is a series of 12 physical postures. These alternating backward and forward bending postures flex and stretch the spinal column giving a profound stretch to the whole body. You can find out how to do the asanas correctly in our post about surya namaskar.